Here at Penrith Swimming Cub, we are a modern junior swimming club with ambition. Based at Penrith Leisure Centre, our vision is to be acknowledged for our commitment for allowing swimmers to reach their potential in aquatics. Our aspiration is to help encourage all athletes to reach their optimum potential through a diverse and effective programme, and ready to seize the opportunities that lie ahead. With a 150-year history of swimming, we are proud of our history and excited about our future. A big club in our own right, we have over 110 swimmers and more than 40 individuals supporting the clubs growth. THERE AREN'T MANY SPORTS THAT CAN CLAIM THE ADVANTAGES OF SWIMMING. IT TICKS ALL THE BOXES! Swimming suits all ages. It is a great form of all-round exercise. There is no retiring at the end of the season. You can do it when you want. 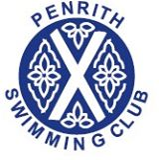 You can go at your own pace, or you can race, compete and be part of a team which is just what it’s like when you are part of Penrith Swimming Club.